There’s nothing like a road trip to take you away from day-to-day routines. David and I took off for Nashville and discovered quite a surprise in their City Park!! The Parthenon stands proudly as the centerpiece of Centennial Park, Nashville’s premier urban park. The re-creation of the 42-foot statue Athena is the focus of the Parthenon just as it was in ancient Greece. The building and the Athena statue are both full-scale replicas of the Athenian originals. 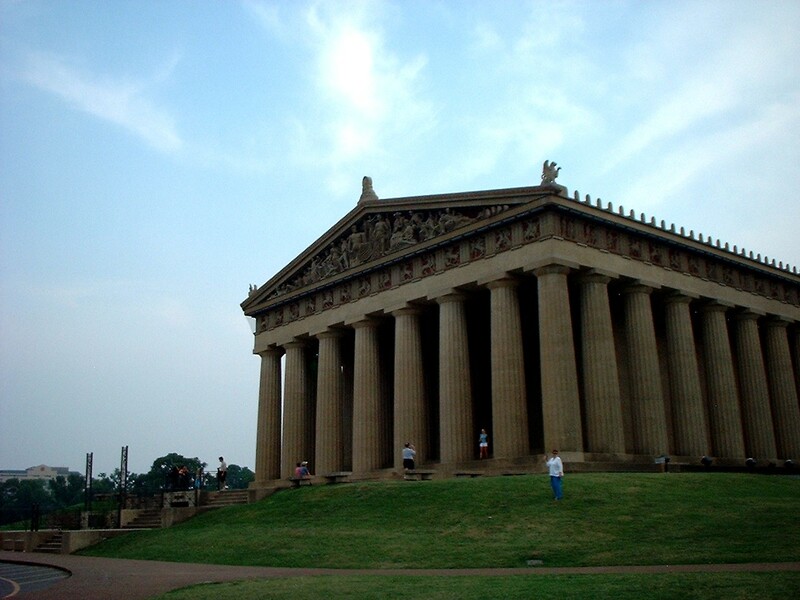 Originally built for Tennessee’s 1897 Centennial Exposition, this replica of the original Parthenon in Athens serves as a monument to what is considered the pinnacle of classical architecture. The plaster replicas of the Parthenon Marbles found in the Naos are direct casts of the original sculptures which adorned the pediments of the Athenian Parthenon, dating back to 438 B.C. The originals of these powerful fragments are housed in the British Museum in London. Click here to learn more. If you are ever in the Nashville area, I’d encourage you to stop by this architectural masterpiece. Today is the last day of the September contest. It runs from September 23-September 29, 2013. 1. Follow the blog as a new follower. Click on the link in the right column and fill in the necessary information. 2. Like my author page on Facebook. The Jerusalem Marathon is a young race by international standards. There have been three official marathons within the city and it has grown each year. The Jerusalem Marathon is an annual marathon running event held in Jerusalem during the month of March. The course begins at Israel’s parliament, passes through Mount Scopus and the Old City, and finishes at Sacher Park. The Jerusalem Marathon is an international running competition held annually in Jerusalem during the month of March. Half-marathon races had been held in the city prior to the first official Jerusalem Marathon in 2011, but it was not until Jerusalem mayor Nir Barkat pushed for a race conforming to international standards that the municipality made the full marathon an official annual event in the city. What happened to the three leaders who veered off course? How many different countries participated this year? Click here to learn more. It was fun to be in Jerusalem when I wrote my book, On Our Own In Jerusalem! My September contest is almost over. It runs from September 23-September 29, 2013. My journey to publication is well documented in the Acknowledgments page of each of my novels. It can be scary and challenging to try something new. But it is important to try. First of all I would remind an older person who is beginning the writing journey that Noah was 600 when God told him he wanted him to build an ark. Nothing is impossible with God. Don’t let age hold you back. You’ve got a lot of experience and knowledge that the world needs, so share it! Older writers possess spiritual depth that shows up in different ways. If you’ve ever wanted to be a writer, by all means pursue it. God put that desire in your heart. You’re never too old to start something new. You learn something new every day. Get a good editor that you trust. Learn about all the changes that have happened since you went to high school. Be willing to accept criticism. Pray for guidance and write, write, write! Click here to read the rest of this article. My contest here at Vicki Andree Books is part-way over. It runs from September 23-September 29, 2013. I am having a contest here at Vicki Andree Books. It runs from September 23-September 29, 2013.